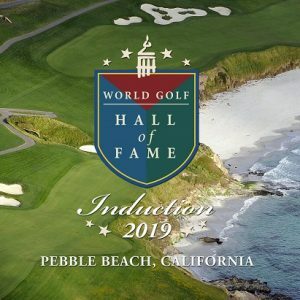 The World Golf Hall of Fame & Museum has released the names of 15 finalists who will be considered for class enshrinement in 2019. The list of finalists includes men and women representing four different countries, and consists of candidates from the following four categories: Male Competitor, Female Competitor, Lifetime Achievement and Veterans. Before gaining consideration, each finalist met the necessary qualifications in his or her respective category by way of on-course accomplishments or by significant contributions to the game. To be inducted, an individual must receive approval from at least 75% of the Selection Commission. This group will ultimately elect the Class of 2019, which will be inducted in Pebble Beach, California on June 10, 2019, the week of the men’s US Open Championship. The Induction Ceremony will take place at the Sunset Centre in Carmel-by-the-Sea.